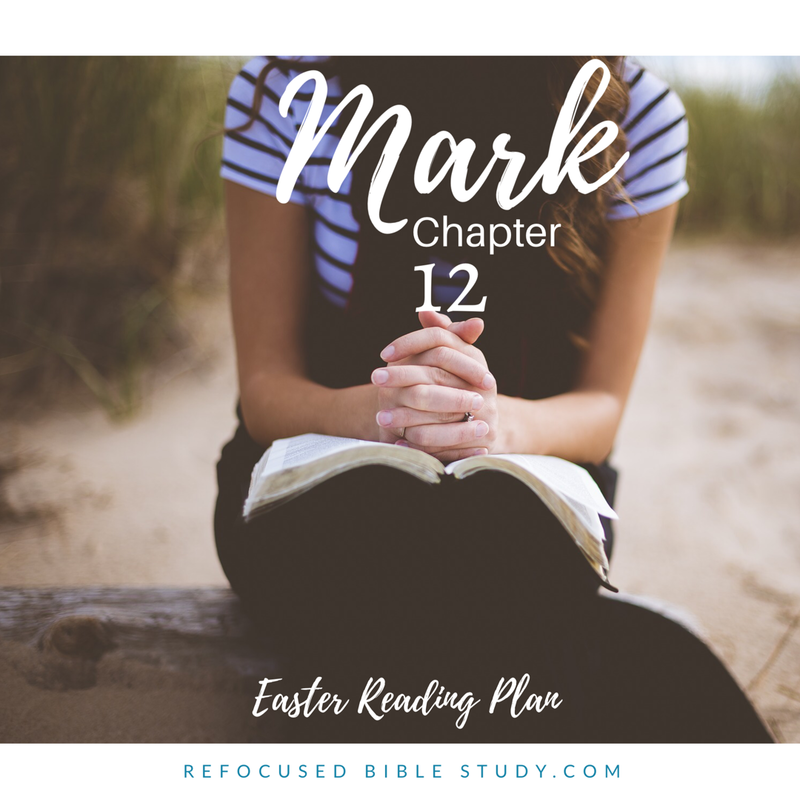 It’s day twelve of “Mark, one chapter a day for Easter.” here at Refocused Bible Study. If you missed the details of the study, you can find them here. We’d love for you to join us! Today we are reading in chapter twelve, and I was mostly drawn to verses 30-31. I’m sharing today following the quiet time pattern below. Try it in your own personal study and see if it helps you find focus and structure to help His Word come alive in your life! See the image below. My verse: It was easy for me to choose verses 30-31, because the greatest commandment simplifies scripture and the law Jesus came to fulfill. Falling more in love with Jesus and giving him more of our heart will start a progression of obedience, and we won’t have to tell ourselves to “do this” or “not do that” because we will be so focused on loving him and full of his love that it will overflow onto others. How do I fall more in love with Jesus? Take time to study how much he loves you. I wrote a bible study to help grow in the knowledge of how much he loves you, you can find it here. Application: This week, as Easter approaches, we can see how much he loves us. We see Jesus, enduring the suffering we deserved, feeling the pain, and staying in it so that we could be free and invited to live free of the curse of death and sin humanity was once held captive to . We don’t have to enter into his presence after killing an innocent animal or going through a ceremonial cleansing. This alone should make our hearts swell with a love for him that moves us to be willing to do whatever he wants, whatever he prompts us to do: to give generously to his kingdom, to love others sacrificially, to welcome in and protect the vulnerable orphans and widows. It is all an overflow of a heart full of Jesus’ love. His love compels us. 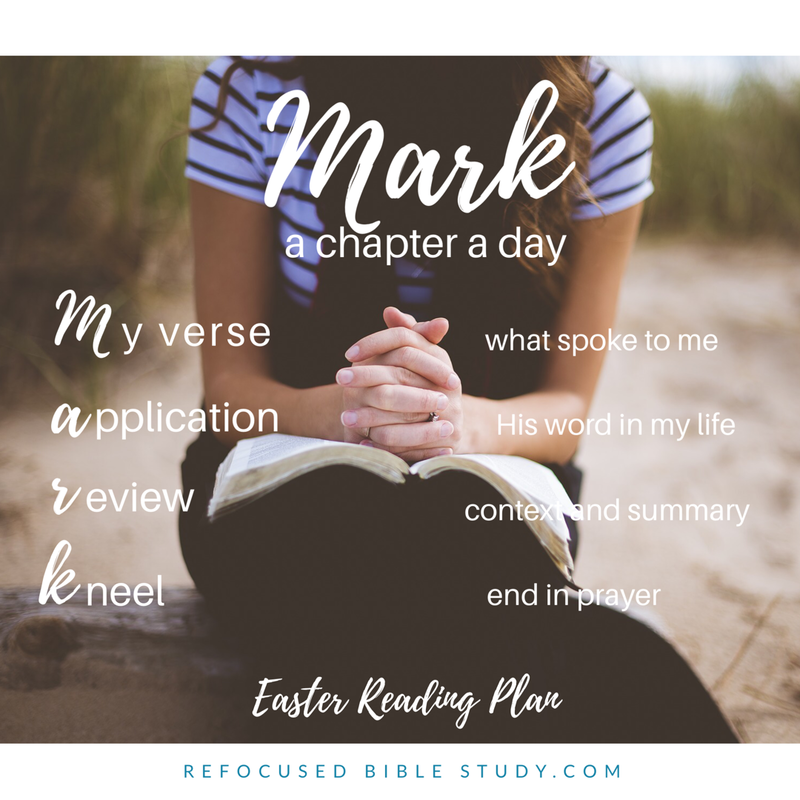 Review: In this chapter, Jesus was answering the Pharisees and Sadducees about different questions as they were trying to trap him and condemn him. But of course, Jesus had these amazing answers that none of them could come up with a rebuttal. (He was God of course, so who could outsmart him?!) He sees the reason and the entire picture and we see only a speck of the paint. Every answer and reasoning boils down to an all encompassing love for God and others. Jesus shows one of the religious teachers that when he was asked which commandment was the most important. Focusing on how much God loves you and loving him and others will always simplify life and give lasting purpose to all the work we do on this side of eternity. Without love, we are all bankrupt and our works mean nothing. Kneel in prayer: Love Himself, we thank you for showing us true, selfless love by leaving heaven and walking on this sin filled earth. Help us to love you with all of our heart, soul, mind and strength, and love others as ourselves. Amen. I’d love to hear your verse today. Easter is only a few days away! 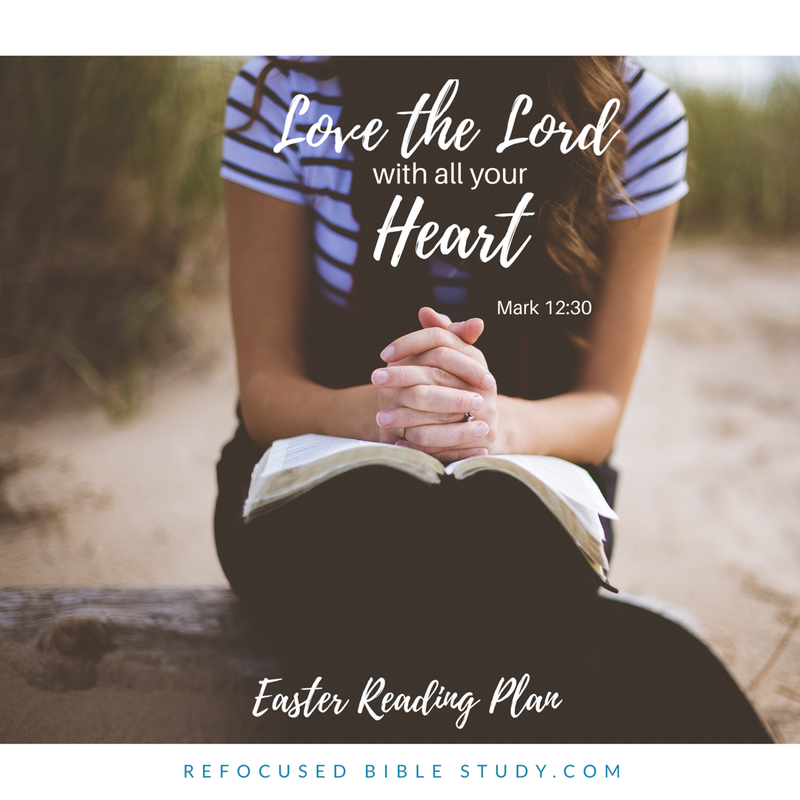 What’s next at Refocused Bible Study for the month of April?! But why spend so many hours mindlessly going through our houses when we can pray scripture that will bring a powerful cleansing of our Spirit and our family’s spirits as we bag up, scrub, and shine our way to a clean house and clean hearts! Here at Refocused Bible Study, starting April 9th, I will be blogging through this journey to a clean heart and home! 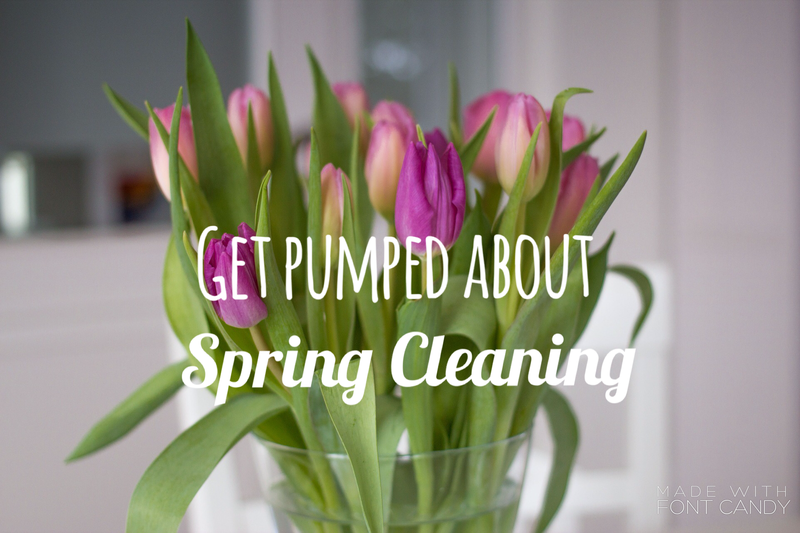 I wrote a 4 week bible study available HERE, titled, “Spring Cleaning for your heart and home: Praying your way to a clean house.” Get it here and let’s get ready for a heart & home cleansing! Good reminder that through repentance we can become just as clean as our house is when we are done doing the hard work.